Shopping in Branson can be enjoyed in a unique way if you shop at the Crystal Fish – Gifts of Distinction because you can find here many gift items that aren’t available in other stores. This jewelry shop in Branson offers one of the largest selections of Vera Bradley, Pandora Charms, and Swarovski Crystal. For over 30 years the store is constantly changing the unique items on display. You will find here locally made jewelry and accessories, salt scrubs, organic soaps, elegant table top candles and handpainted ornaments. 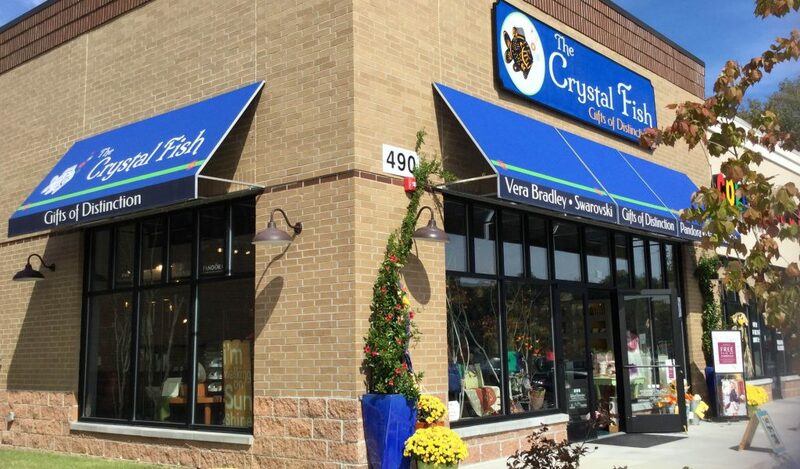 The Crystal Fish – Gifts of Distinction is the only dealer of Vera Bradley Platinum in Branson. This shop is locally owned and the owner is thrilled to offer a dazzling array of gift items, from fine and fancy to fun and whimsical jewelry items. After three decades, this jewelry store remains one of the most unique shops in Branson. The wide selection of handcrafted jewelry and other vintage treasures is one of the things that most visitors want to own. The store care about your experience, which is why they go the extra mile to let you enjoy a fantastic shopping in Branson. The Crystal Fish – Gifts of Distinction is a unique store in Branson where you can find the jewelry you have been looking for. So don’t miss to visit this store while you are in town. “Wow!” “Oh, look at this!” These are the typical reactions when visitors step into The Crystal Fish and find an array of unique gift items. One of the many things that makes this jewelry store so unique is their contemporary handmade goods that are all handcrafted by local artisans. These include jewelry, organic soap, beautiful oil lamps, recycled items, steampunk owls, bird feeders, totes, wind chimes, and pottery – and the list goes on. This quaint store features unique and different items that come from other parts of the globe to display in the store, including gifts that are ideal for all ages. Along with locally handmade items, the shop carries several international brands such as Swarovski crystal jewelry and figurines, Spartina 449 and Vera Bradley handbags, Pandora jewelry and charms, Corkcicle eco-friendly canteens and thumbers, and Mud Pie décor and casual apparel. The Crystal Fish – Gifts of Distinction always have a great deal going on, an amazing promotion, or gift with purchase. The atmosphere inside the shop provides you a unique experience not found in other stores. Lurking at the store are a few quirky animals, the most noticeable of which is “Bubbles”, a sparkling 3’ x 4’ sun-perch. Bubbles contains over 3,000 Swarovski crystals. It was sculpted by internationally acclaimed wildlife sculptor Tim Cherry. Other fascinating displays include Dottie Mae II, a brilliant bovine with a crystal tiara and collar and Myrtle the turtle. Shopping is the number one on your itinerary when you travel, and here’s a tip for you – when you want to take a vacation in Branson, The Crystal Fish – Gifts of Distinction is a great place to enjoy unique shopping in Branson.